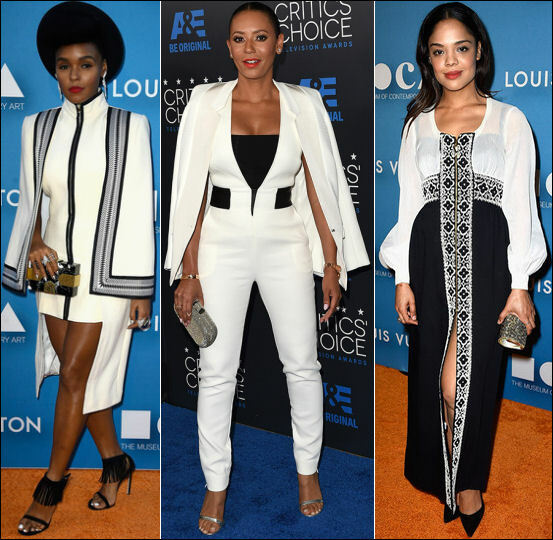 This weekend, celebrities attended the 2015 MOCA Gala presented by Louis Vuitton and the 5th Annual Critic?s Choice Television Awards in Los Angeles, with the popular trend being black and white. Shiri Appleby, China Chow, and Melanie Lynskey went formal wearing floor-length gowns. Janelle Monae, Melanie Brown, and Tessa Thompson looked equally stylish, but more laid back in their black and white outfits.